Research interests of our group include biomineralization, micro-pattern formation, and conrolled attachment of biomolecules, utilizing chemically modified surfaces. We introduced biopolymers or synthetic polymers mimicking them into the surfaces of substrates, which were further applied to generation of nano-scale organic/inorganic hybrid thin films, micro-patterns, and super-hydrophobic surfaces. Recently, we are also interested in generation of neuronal patterns, modulation of their electric signals, and chemical modification of micro-organism surfaces. 1. Filopodium-Size Ranges. Kang, K.; Choi, S.-E.; Jang, H.-S.; Cho, W. K.; Nam, Y.; Choi, I. S.; Lee, J. S. Angew. Chem. Int. Ed. 2012, 124, 2855. 2. Bioinspired Functionalization of Silica-Encapsulated Yeast Cells. Yang, S. H.; Ko, E. H.; Jung, Y. H.; Choi, I. S. Angew. Chem. Int. Ed. 2011, 50, 6115. 3. Mussel-Inspired Encapsulation and Functionalization of Individual Yeast Cells. 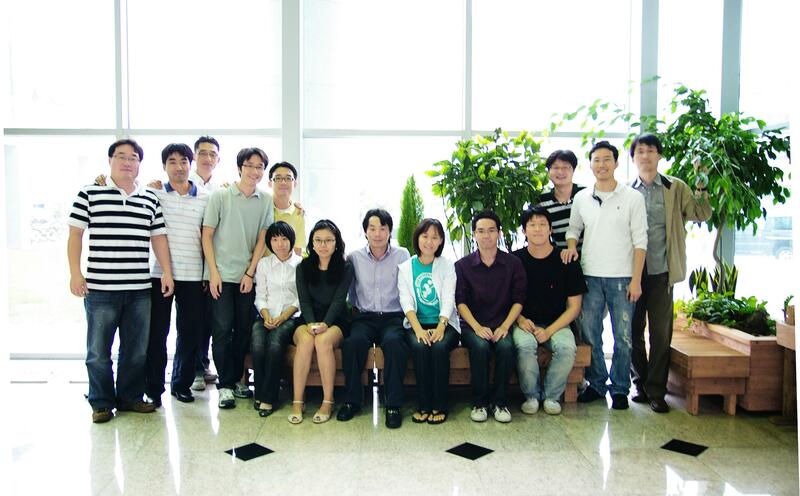 Yang, S. H.; Kang, S. M.; Lee, K.-B. ; Chung, T. D.; Lee, H.; Choi, I. S. J. Am. Chem. Soc. 2011, 133, 2795. 4. Pitch-Dependent Acceleration of Neurite Outgrowth on Nanostructured Anodized Aluminum Oxide Substrates. Cho, W. K.; Kang, K.; Kang, G.; Jang. M. J.; Nam, Y.; Choi, I. S. Angew. Chem. Int. Ed. 2010, 49, 10114. 5. Biomimetic Encapsulation of Individual Cells with Silica. Yang, S. H.; Lee, K.-B. ; Kong, B.; Kim, J.-H.; Kim, H.-S.; Choi, I. S. Angew. Chem. Int. Ed. 2009, 48, 9160.